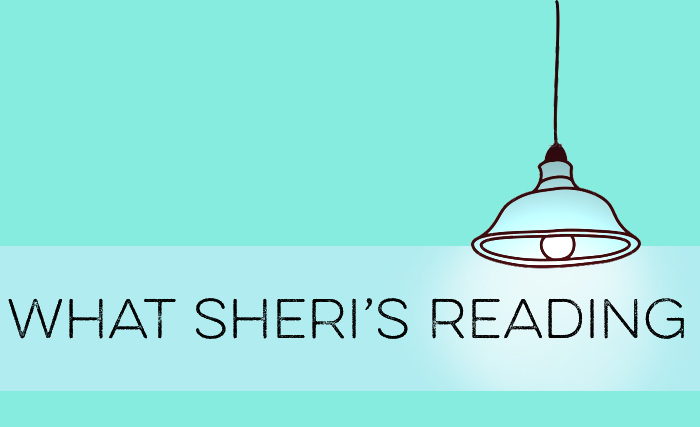 We briefly interrupt our regularly scheduled programing (Investment Basics Series) for a special edition of “What Sheri’s Been Reading.” How have you been feeling the past few days? Hopefully you’ve ignored the gyrations of the stock markets and kept your eye on the long view but if you have not, you might be feeling a little agitated, anxious, panicky even? Are you wondering if you should be doing anything? Answer: As long as you have solid planning in place, the best course of action during times like these is to look away from the constant barrage of media reporting what the markets are doing (up, down, down, up, down, up, up….) and look towards the things that really matter to you – perhaps for you it is your family, friends, pets, work, hobbies, chocolate, a glass of wine? Today I want to share some great articles with you that will help keep recent happenings in perspective. Avoid Worrying About a Future That May Never Happen (The New York Times – Carl Richards) I find it fascinating how we get distracted by things that might happen, often to the point that we overlook what’s right in front of us. In Times Like These (Above the Market) Serious drawdowns are simply par for the course in the markets. Investing requires that we be prepared for major losses. That risk is the price we pay for the excess returns provided by stocks relative to other investment choices. Even during a terrific bull market, serious drawdowns are part of the package. Advice After Stock Market Drop: Take Some Deep Breaths, and Don’t Do a Thing (The New York Times – Ron Lieber) Stocks are most useful for long-term goals. So unless those goals have changed in the last few days, it probably doesn’t make much sense to overhaul an investment strategy based on a blip of market activity. How Emotion Hurts Stock Returns (The New York Times – Justin Wolfers) The point is that stocks aren’t really that risky, at least if you’re willing to ignore the noise and if you don’t need to pull out the money in the short term. Inhale, exhale, repeat and watch ESPN. And next time someone asks you how your portfolio is doing, impress them with your knowledge of sports instead. This game will show you just how foolish it is to sell stocks right now (Quartz) Do you think you can beat the market? Really? Let’s pick a random 10-year history of the S&P 500 and see if you can spot and avoid the downturn, as the chart progresses through time below. The Worst Investment Strategy Ever (The Irrelevant Investor) Unless you’re looking for an equity strategy with bond-like returns, you might want to rethink jumping in and out every time the market takes a dip. Messy Fund Managers Create an Illusion of Skill (Rick Ferri) What’s actually occurring is the difference between pure style index returns and messy active manager returns. Sage Serendipity: After reading an amazing book, it’s great to listen to a smart interview with the author. 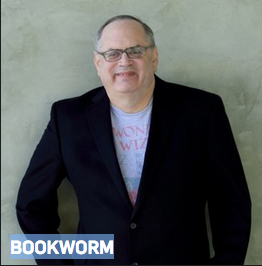 Host Michael Silverblatt has been interviewing authors since 1989 on his show Bookworm, a nationally syndicated radio program from KCRW in Santa Monica. His library has everyone from Kurt Vonnegut, Joyce Carol Oates, Umberto Eco, to David Foster Wallace… and new ones keep coming. Enjoy!